THE LITTLE DANDY : 2014 WILL BE MY YEAR: New Years Resolutions and How to Keep Them! 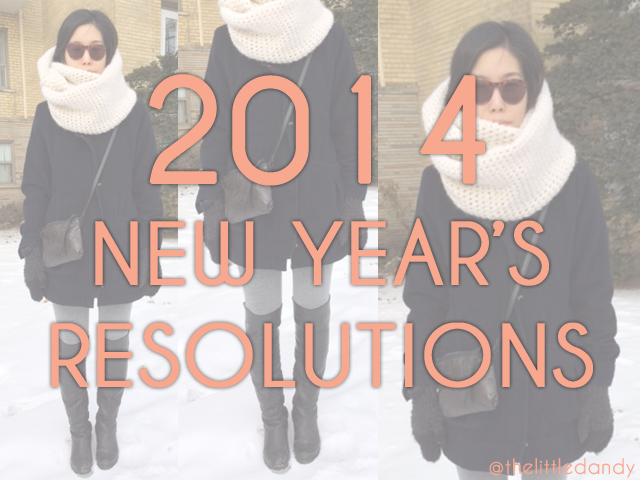 2014 WILL BE MY YEAR: New Years Resolutions and How to Keep Them! First OOTD of 2014! Happy New Year! I hope you all had a wonderful New Year's Eve celebration wherever you were and whomever you were with. Due to the elderly condition of my back (har har, but srsly tho...I can elaborate on this later), I spent it indoors snuggling up next to the Boyf and sipping on champagne. It was a lovely way to ring in the new year, and throw the old one out the window. Am I seriously the only one that doesn't ever feel great about the previous year ending?? All over Instagram and Facebook I see posts like "Thanks 2013! You were great! So many memories!! BLAH BLAH WORD VOMIT BLAH!!" -- maybe I'm just a very negative person with a heart that is cold as stone? Ha..ha? Seriously though, why?! I don't know, but what I DO KNOW is that I always look forward to the 'fresh start feeling' of a new year; the dawn of a new beginning where, really, anything is possible if you try your friggin best. 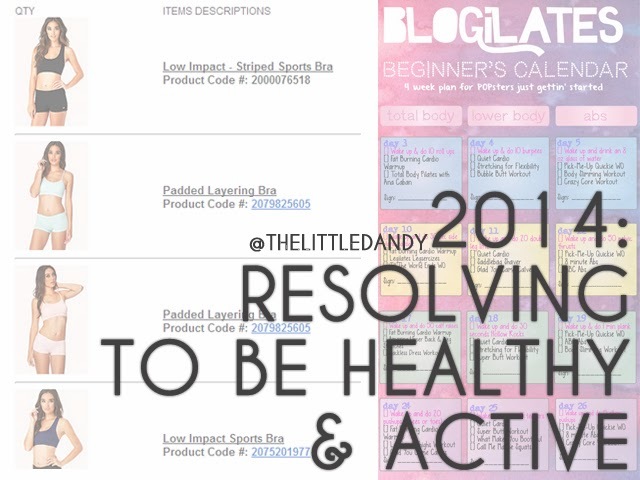 So excited to get my new activewear from Forever21 & to complete the Blogilates Beginner's Calendar! Plan to Keep Your New Year's Resolutions in 2014! I mentioned this in my previous post, but in 2014 I'm bringing my A-game. 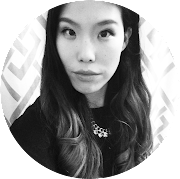 I want to be a healthier, happier, and overall more productive person this year -- and I'm serious this time! What is it that makes resolutions so difficult to keep? Time. Every year we make lists of resolutions we want to keep, but weeks later the list goes long-forgotten; if you are not constantly reminding yourself of the goal in mind, then you are slowly giving-in to losing your drive until one day it is gone - completely. Try this: Make your list for the year. It may be 10 to 10,000 items long - it doesn't matter. Write it down on paper, somewhere that you will not lose it. Now, take that list and break it down from easiest to most difficult. Take a look at the easiest and most-attainable goals and decide to conquer them within January. In short, you are taking your massive list and breaking it down into 12 mini-lists - one for each month. At the end of each month, re-visit your massive list to see where you are at. 'The re-visit' will be the most important factor to help you stay in the game, and remind you of your self-progress. Now, I'm no expert, but this is what I'm going to try to stick to doing and I'm really hopeful that it will work! 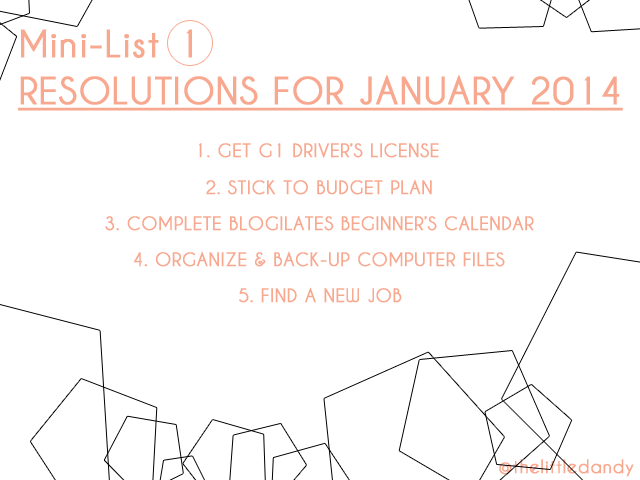 Here's my mini-list of resolutions for January! bad at keeping them :P despite, thanks for these tips! This is a great post. Best of luck! Awesome list and good ideas to stay on task with your goals! I've got big goals for myself this year as well, especially since I'll be graduating at the end of 2014. I love seeing what everyone else is trying to accomplish/improve. Good luck! Love your Jan goals as they're so close to mine! Happy New Year and best of luck with them!